Mercedes-Benz S-Class Interior, Sat Nav, Dashboard | What Car? The S-Class gets an electrically adjustable driver’s seat as standard (including four-way lumbar adjustment) and a steering wheel that powers in and out, as well as up and down. The seat is also extremely supportive and dead easy for you – or your driver – to get comfortable in, and while driving along, weary arms will find sanctuary resting on the perfectly positioned centre and door armrests. The dashboard is well designed with major controls grouped sensibly, and all within easy reach. Indeed, many of them are either voice controlled or automatic, so you rarely have to operate them physically. 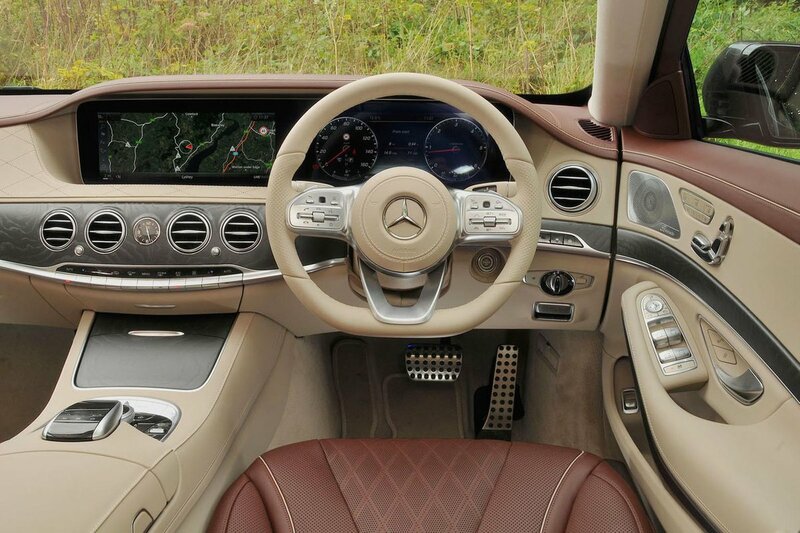 Only one issue blots its copybook: if you are tall you may find that the steering wheel chops off the tops of the digital dials displayed on the 12.3in screen in front of you. There’s sufficient all-round visibility to make this behemoth of a car less daunting to drive than you might expect. It helps that even the entry-level AMG Line trim gets front and rear parking sensors, plus a reversing camera as standard. Meanwhile, semi-autonomous parking and a 360-degree camera are also available to make life as easy as possible. Another bonus is the super-bright adaptive LED headlights, with main beams that operate at the maximum light output allowed by law. These are standard on all versions. All versions have a crisp 12.3in widescreen display in the centre of the dashboard and another sat immediately next to it behind the steering wheel. As both are covered by a large piece of glass, the effect is of one long digital screen running along half the dashboard’s width. Together they show numerous functions – everything from navigation maps and your phone contacts to vehicle settings - either in front of the driver combined with the digital dials, or full screen in the middle of the dashboard. It’s a smart way of showing clearly bundles of information at once, and it looks great, too. You can control the main screen using a rotary controller or touchpad on the centre console, while the screen in front of the driver is controlled using touch-sensitive pads on the steering wheel. It all works pretty well - certainly it’s far in advance of what you get in a Range Rover - but we still rate the 7 Series’ iDrive system as easier to use thanks to its snappier and more intuitive menus. Included is Mercedes’ Connect Me. This offers an emergency call system for accident assistance, breakdown management and servicing requirements, as well as a concierge service. Using this you can access various facilities, from booking restaurants to sending sat-nav destinations directly to the car with a simple phone call. The system also offers impressive integration for smartphones thanks to standard Apple CarPlay and Android Auto, as well as online connections to services including Facebook, Google or music streaming apps. Wireless charging is standard in the front and optional in the rear, while text messaging on the move, using a speech readout and voice recognition to respond, is also available. A powerful high-fidelity Burmester surround-sound system is optional on all but the S 65 - this has it as standard. The cabin is beautifully finished with high-quality metal detailing, real wood, bespoke switchgear and swathes of double-stitched leather. However, it also feels modern, with the dashboard dominated by that panoramic infotainment display and swanky ambient lighting in a choice of 64 colours. 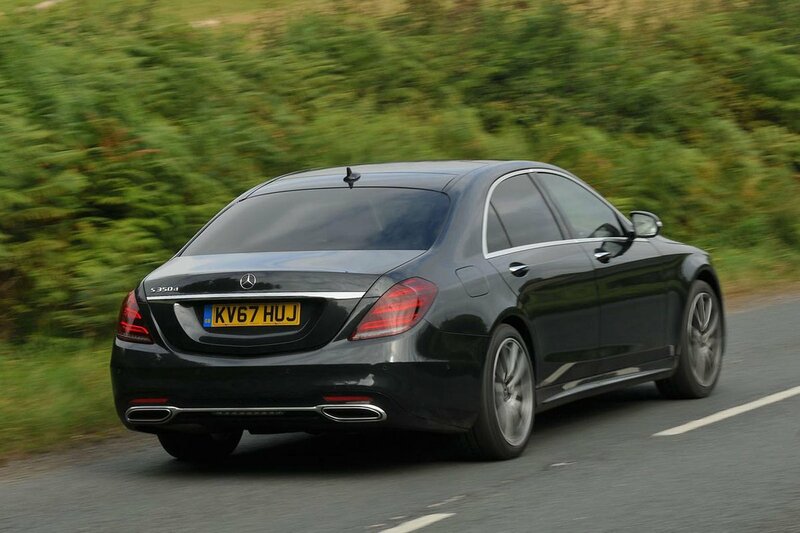 The Audi A8 and a BMW 7 Series are both beautifully finished too, but arguably they lack the sheer sense of indulgence imparted by the S-Class. So even the standard cars rarely let you forget you’re in a top-flight Mercedes, such is the sheer quality of their materials. But the AMG models take this a stage further – especially the S 65, which includes Exclusive Nappa leather for the seat trim and headlining.